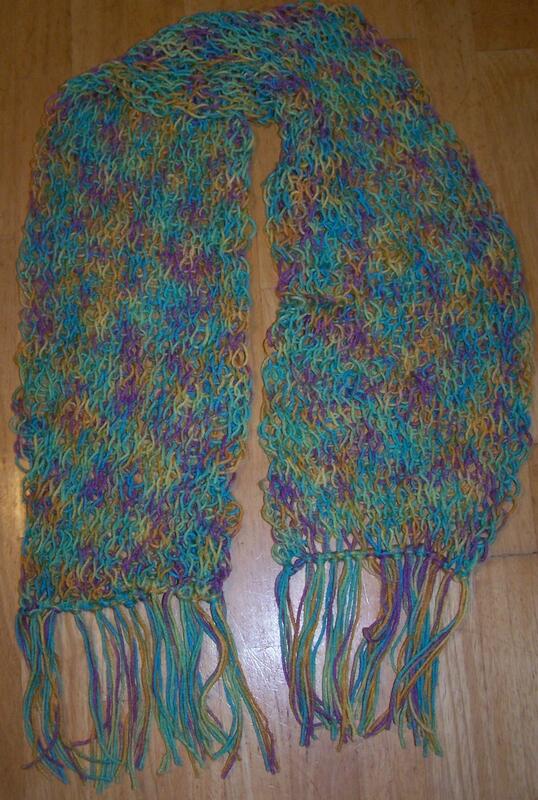 Scarves are a fun way to practice new stitches. I especially like those patterns that look good on both sides of the knitting. Here are some of my favorites. 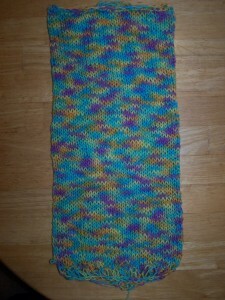 I had, and lost the pattern for this scarf. I haven’t worked with it for some time, so I can’t figure out where I am or what I’m doing! 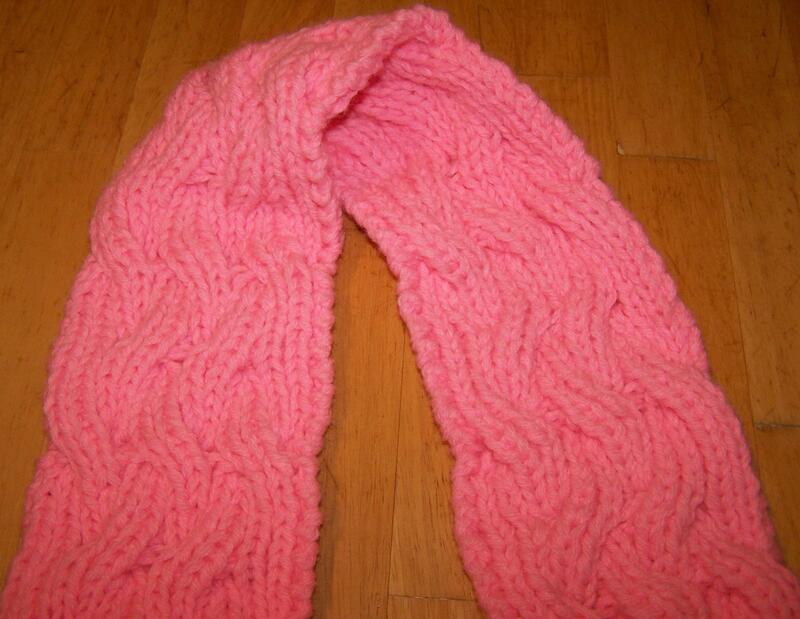 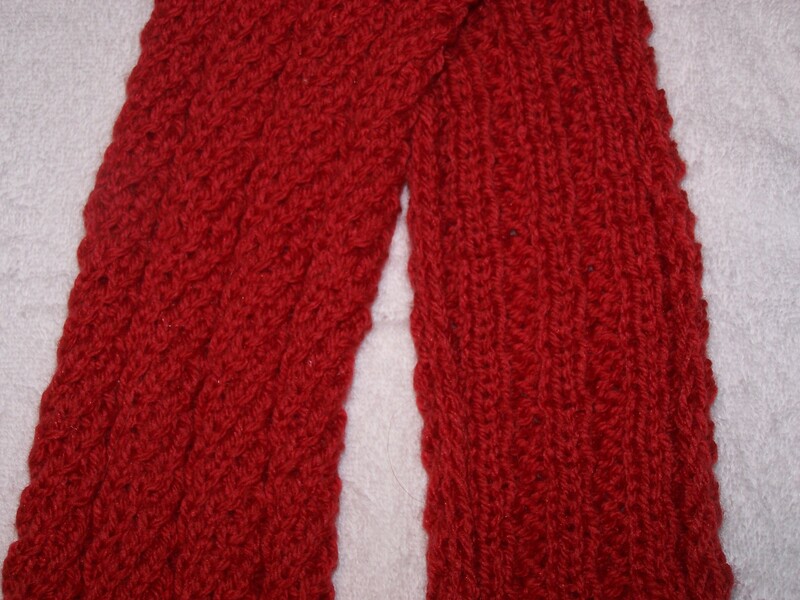 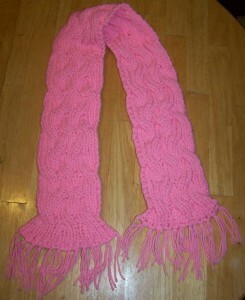 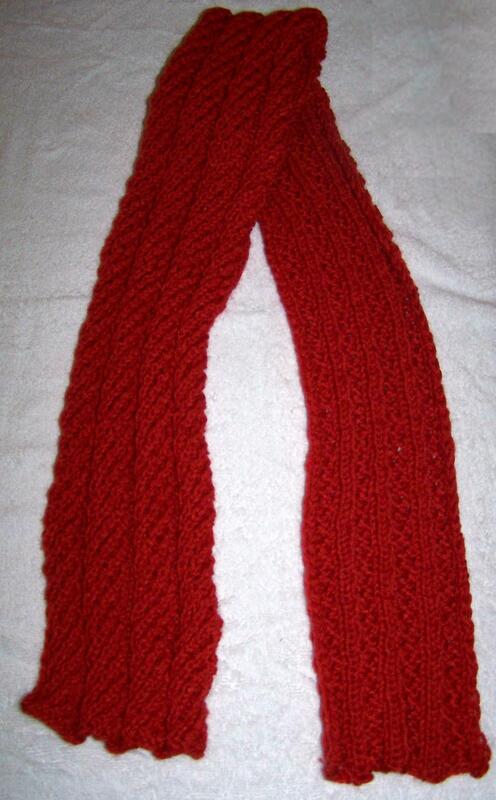 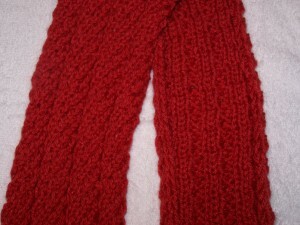 Oops, I forgot to tell you it was the reversible cable scarf! The link for the reversible cable scarf is http://www.cometosilver.com/patterns/palindrome.htm. 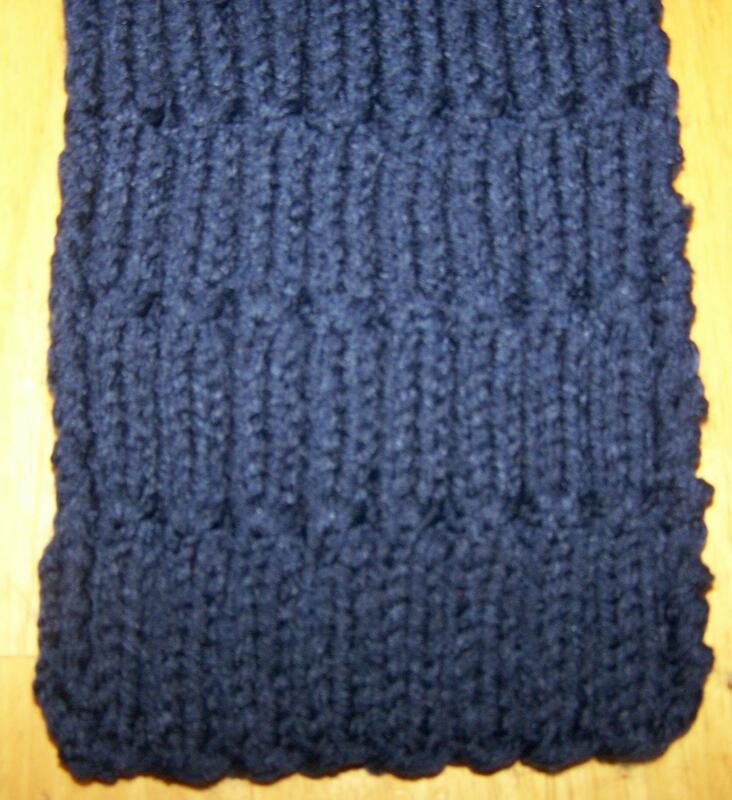 If you can “read” your knitting, there are 5 knit 2, purl 2 rows between cable rows. 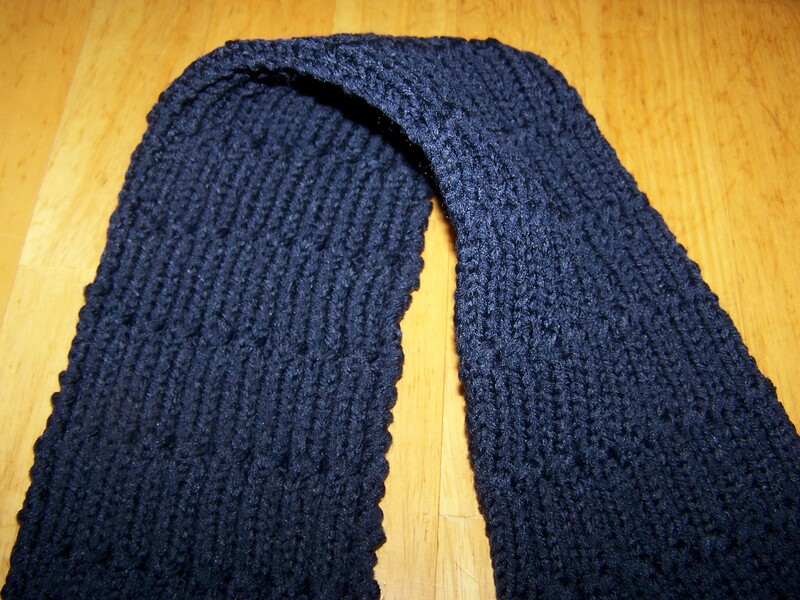 If you can’t “read” your knitting, I would suggest that you undo your scarf stitch by stitch until you reach the row where you did the cable. 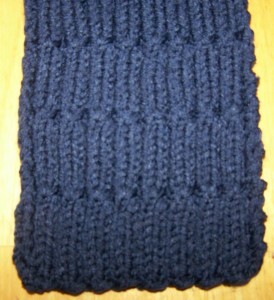 That is row 5 in the pattern.